Do you wonder if the grass is greener when the waters get rough in your marriage? It’s normal in any relationship to have those “I don’t like you right now” thoughts (hopefully rephrased if spoken aloud). Conflict is inevitable, and very healthy if it is resolved. But when those thoughts turn into more serious questioning about whether you should stay or go, it’s time to do some serious thinking, because having, and voicing, those thoughts can further threaten a fragile partnership. It may be time to stop second-guessing your commitment, and bravely face the question: Should I stay or should I go? In part, the answer differs depending on what stage you’re in. If, in the first few months to a year of being with someone, your ‘gut’ doesn’t feel right or there is a lot of unhealthy conflict, there is good reason to simply go your separate ways. It probably won’t get much better than that early period where we put our best face forward. But ending even a short-term relationship can be difficult. We wrap so much of our self-esteem in whether a relationship lasts or not. At this beginning stage, though, it’s important to realize that you’re both looking for a good match. It’s not personal. Just because you initially like someone or have had a good email exchange doesn’t mean you’re a good match. Just because you’re not a good match doesn’t mean there’s anything wrong with either of you. Stop trying to fit the square peg into the round hole and move forward knowing there’s a better match out there for both of you. There would be less divorce if people listened to their early doubts and avoided getting stuck in something that doesn’t feel good right out of the gate. You’ve been together for a while, and you realize you’re having thoughts about leaving the relationship. Every situation is unique, but let’s talk generally about good and bad reasons to stay or leave. (Only) For the kids. While being a parent might mean putting some extra effort into trying to resolve things before you throw in the towel, it’s never a good idea to stay only for the children. Children need happy parents who aren’t in constant destructive conflict. I believe that having parents in negative conflict affects children more seriously than divorce or separation. (Only) Money. I get that there are practicalities involved, but know that your community is abundant with options for assistance. Fear of being alone. If you have been dependent on your partner, a therapist can help you learn to address these fears. Amazing things can happen when you kick fear out of the picture. Also, be sure to read about destructive relationships and building confidence. To buffer the children from the other parent. If you are in an abusive relationship, please seek support. Staying out of fear that your partner will do more harm to the children if you leave is not healthy thinking. You don’t want to hurt your partner (leaving is hard). Sympathy is never a good reason to stay. You both deserve better than that. No, leaving a marriage isn’t easy, but that’s no reason to put off being happy. (Only) Because you love them, or they love you. If that’s the only thing holding you together…if you’re in pain and everything else says it’s not working, then love is just not enough. When there is something you fundamentally need that the relationship can’t provide. Following are some examples of this. Disrespect/Abuse. You or your children are being hurt. Abuse is a recurring pattern of hurtful or controlling behaviours that create a power imbalance. Safety comes first. Read this about unhealthy relationships. Addiction. If you have a partner who is in an addiction and not seeking treatment or taking responsibility. Dishonesty and secrecy. If you don’t know whether you are getting the truth or not, it’s impossible (and perhaps unwise) to try to build trust. Infidelity. While good people can make bad mistakes, and infidelity can be worked through with a therapist’s help, infidelity can also indicate a lack of empathy, or an inability to draw appropriate boundaries of safety around the relationship. You’ve lost the desire to be together and you don’t want it back. If you or your partner already have one foot out the door, it’s best to recognize it and be honest about it. You’re unhappy. Are you blaming your relationship for your personal unhappiness or depression? Sometimes our partners and relationships take on an ugly hue when we’re not in our own personal happy place. Try using a therapist to learn healthy thinking patterns, and see how that changes the picture. Your relationship doesn’t feel the same as it used to. Marriages go through stages, and it’s natural for that early passionate intensity to lessen with time. Be your best self, and communicate clearly about what you feel and need. You argue a lot. 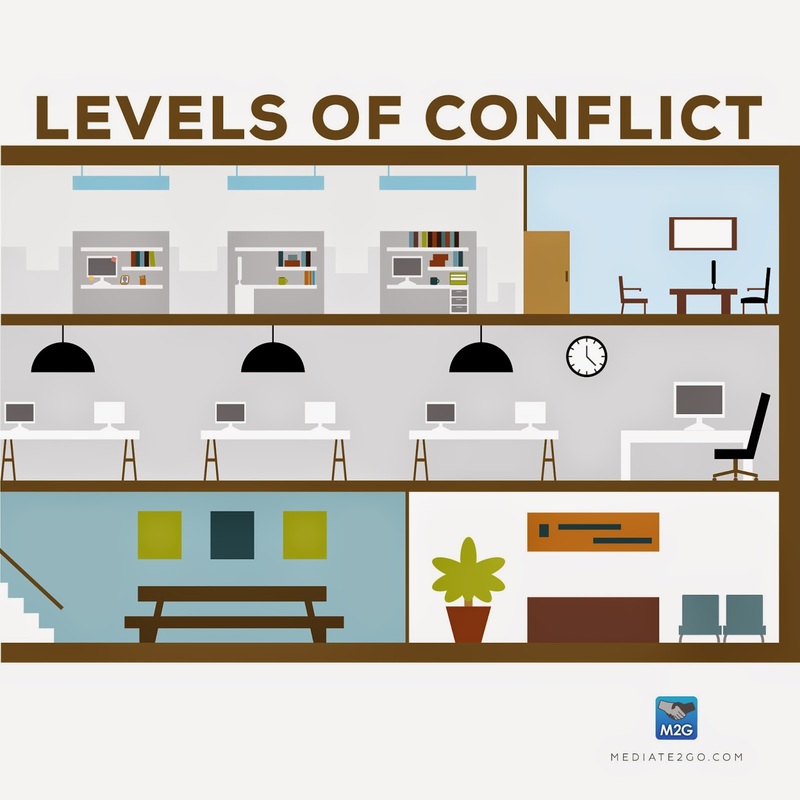 Conflict can be made healthier, and conflict resolution can be taught. Habits can be changed, and patterns can be altered. Clarity about whether to leave or stay can also be assisted by my “basket” theory: put a relationship problem into a basket in order to determine how to handle them. Read about destructive relationships and unhealthy relationships. Your partner has changed (or you have, and they refuse to). Some people change, and some don’t. Definitely, people change when they want to, not when it suits us. 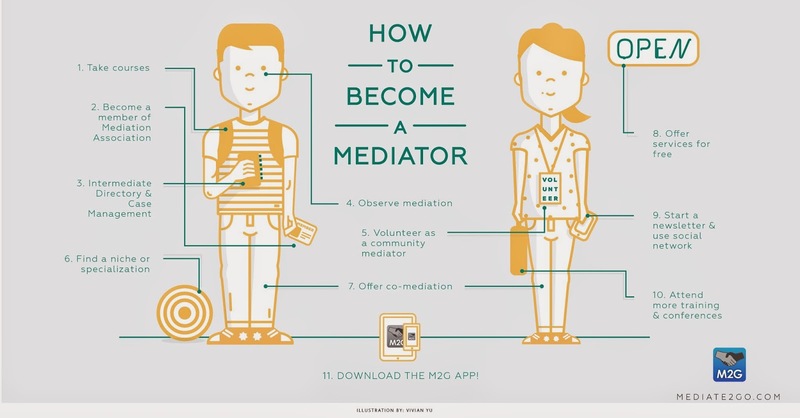 Try seeing a therapist if you both want to better understand and connect with each other through personal change. You’ve stopped trying. Have you stopped feeding your relationship? Are you expecting changes from your partner and ignoring what you can do to improve the situation? Try increasing your own effort (and your empathy) to be loving, and see what happens. Your partner doesn’t know what you need. Are you communicating your unhappiness? Ending a relationship without clearly letting your partner know what you need may be less than fair. Ask for what you need. Hurtful things have happened. People make mistakes, and with effort, empathy, taking responsibility and forgiveness, wrongs can be righted and the past can move farther away. Both parties are ready to use a therapist and work hard to make things better. In spite of issues X, Y and Z, you both desperately want to be together and are willing to work at it in therapy and make personal changes. I have worked with a lot of couples in the last twenty years, and I can’t guess outcomes. I have been very surprised by couples who have made me wonder why on earth they were together, and then suddenly something shifts and the space is created for a different way of being together. If you both want it to work, and you both have the energy to commit to doing something differently, then ANYTHING is possible. Ultimately, no one can tell you how long to stay in a relationship that feels uncomfortable. This is intended only as a guideline to clarify a muddy picture. 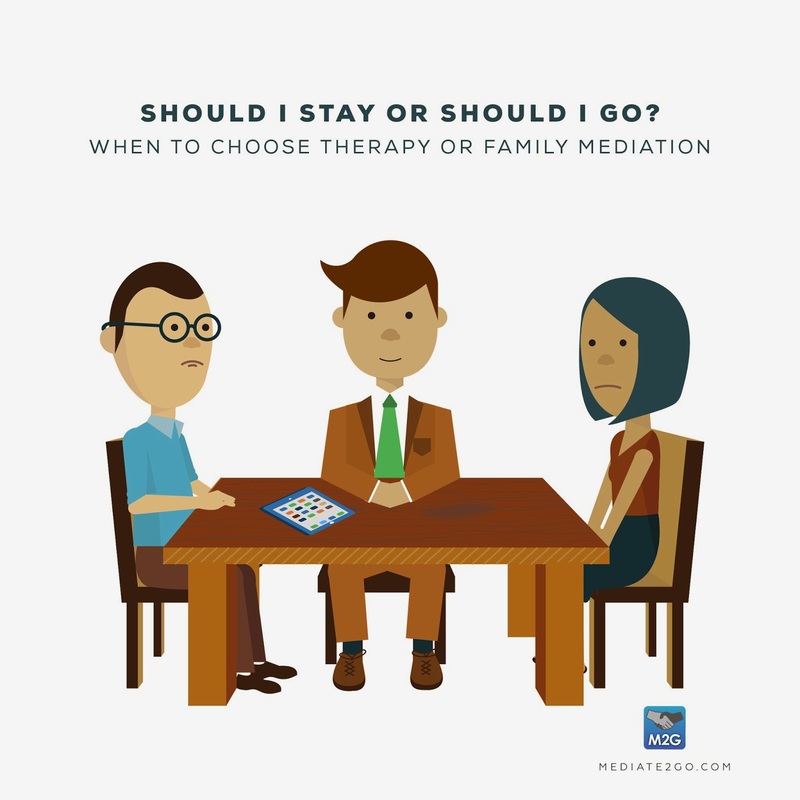 Remember that if you decide to stay, therapy can assist in building intimacy and communication skills. 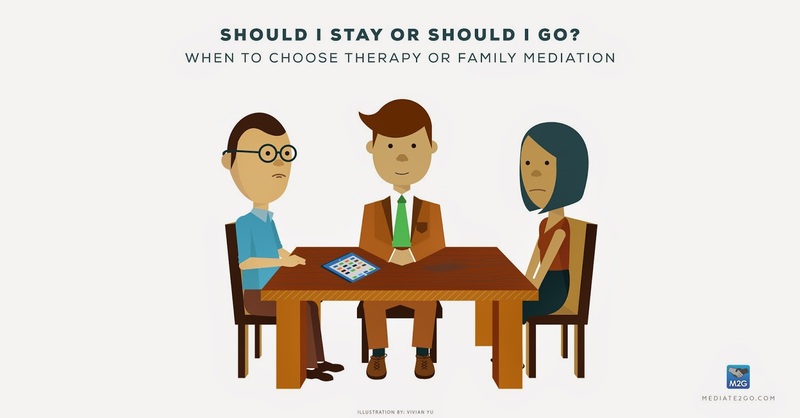 If you decide to leave, mediation can be useful when negotiations fall apart. About the Author: Lynda Martens is the Wabisabi Therapist and a contributor to the Mediate to Go Blog. Please read her other contributions by searching on this page for Lynda Martens.